Updated for the end of Boston Massacre. The win goes to Andrew Katcher, who won with a whopping two board tops and a solo (roughly 42000 points in carnage scoring). There were three solos in the tournament, but Katcher pulled it out for his first tournament win. In fact, that’s the second straight tournament with a first time tournament winner! Must be something in the air. Next up on the docket are Liberty Cup and GenCon, both August 3-5. I’d recommend philly personally, as it a really awesome tournament in a great location with a nice and relaxed environment. My understanding is that in the final, "timed round" there were 3 solos on four boards. The time pressure can really get to folks. I have a long history of getting solo wins on the last day of a tournament when everyone else is tired and not at the top of their game - but 3/4 is crazy! Once one person gets one, though, everyone else starts playing harder for them. A great turnout in Boston this year. On to Philly/GenCon! Looking forward to seeing everyone going to Liberty Cup in Philly this weekend... arriving tomorrow! Woot! And congratulations to Liberty Cup Winner, Josh Culbreath - with a solo victory in the final round! I guess he really was feeling lucky! Next up, WeaselMoot in Chicago! Updated for the ends of Liberty cup in Philly, Weasel Moot in Chicago, and Portland Reincarnated in, well, Portland. Congratulations to, in order, Josh Culbreath, Eric Grinnell, and Chris Brand. Up next--WDC, in Washington DC! WDC in Washington has wrapped, with Andrew Goff taking home the hardware for the third time! On a note of personal pride, there were roughly two boards worth of playdippers at the event, many of whom were attending their first or second tournament, and one of whom made the top board! Next up this year: Carnage, in beautiful Killington, Vermont. Highly recommend going if you’re at all able to. 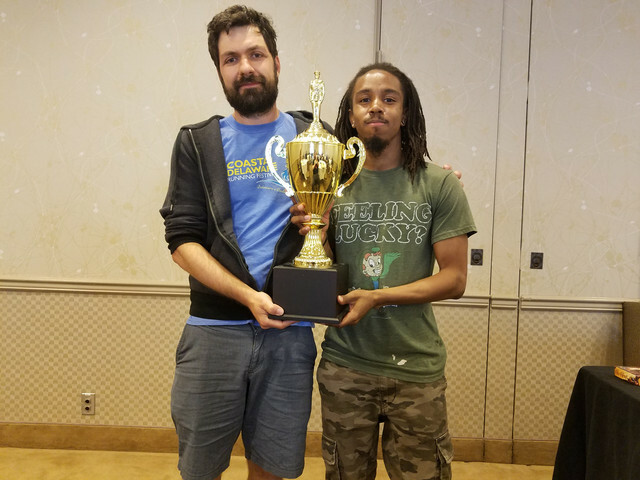 I will also have a list of upcoming 2019 North American tournaments (plus WDC Marseilles) posted in the next week or so. nanooktheeskimo wrote: I will also have a list of upcoming 2019 North American tournaments (plus WDC Marseilles) posted in the next week or so. Obviously some dates and information is missing for some tournaments, since we're still over a year away from some of them! And before you start planning 2019, get to Carnage, in Killington, the first weekend of November! You'll have a blast and won't regret it. Carnage, the last tournament of the yar, ended tonight, with Brad Blitstein taking home the win!